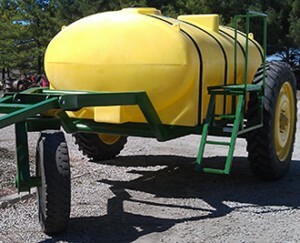 This liquid fertilizer caddy is the perfect solution for applying fertilizer while planting. 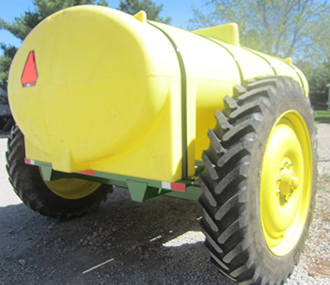 The ProCaddy 2350 features a heavy duty frame sitting on the heavy duty Michelin™ Spraybib™ tires. The front “caster” design super single tire makes backing up much easier. The frame is constructed from heavy 4” x 6” rectangular steel tubing. The caddy comes equiped with a 2,350 gal. “poly” tank. The hitch pivots to adapt to various planter heights and comes standard as a pintel configuration.